We understand that canine obedience training can be a challenge. Let our certified team of dog trainers work one-on-one with you to teach your pup how to properly behave around humans and other dogs. 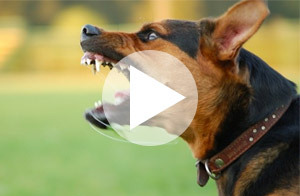 Does your dog exhibit aggressive behavior towards others? Our Jacksonville dog trainers want you to feel confident about taking your dog out in public. Let us help you regain control of your pooch! If your dog is destructive when you’re away from home, they could be suffering from separation anxiety. Let our team of dog trainers help you correct your pup’s anxiety through specialized training techniques. When you sign up with our Jacksonville dog trainers, you’ll receive unlimited dog training lessons for your pooch! From puppy training classes to correcting aggressive behavior, our dog behaviorists are here to help. Having control of your dog means a great life for your dog. Don’t let going for enjoyable walks with your dog be a pipe-dream. With the help of our dog trainers, you can teach your pup how to properly walk on a leash without pulling or tugging. Have you dreamed of being able to take your dog to an outdoor restaurant? Our dog trainers can help your pooch gain confidence through obedience training so they’ll sit still in distracting environments. If your dog doesn’t love to socialize with others, you may be missing out on fun trips to the dog park! Our dog trainers can help socialize your dog so they feel comfortable around other dogs and humans. If you’re struggling to train your dog to walk on a leash or go potty outside, our professional dog trainers can help. We’ll give you and your dog the individual attention you need to create a strong and trusting bond. 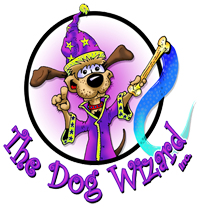 Welcome to the Jacksonville Dog Wizard, where our experienced local dog trainers are committed to helping you train your dog, regardless of his or her age. We offer a full spectrum of classes at our Jacksonville location, including puppy preschool, socialization and obedience training. Our dog trainers have years of training experience, and they are looking forward to the opportunity to improve the life of both you and your pup with their services. No matter what your reasoning is for seeking professional dog training services in Jacksonville, our certified dog trainers are here to offer their assistance. 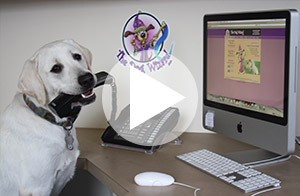 Contact the Jacksonville Dog Wizard today to schedule a free evaluation with our dog trainers.